Canvas Credit Union has 26 branch locations in Colorado, more than 200 CO-OP shared branches, and over 30,000 surcharge-free ATMs nationwide. It offers business savings and checking accounts, lending, and investments solutions. It has an A+ rating from the Better Business Bureau and a mix of positive and negative reviews online. 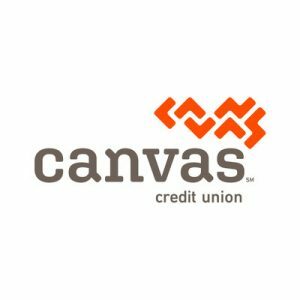 To be eligible to become a member of Canvas Credit Union, you must be living or working in a qualifying area, employed by or affiliated with a Canvas Credit Union Partner Company or Select Employee Group, or related to a current member of Canvas Credit Union. Ready to get started with Canvas Credit Union business checking? Apply now. Canvas Credit Union has 26 branch locations in Colorado, more than 200 CO-OP shared branches, and over 30,000 surcharge-free ATMs nationwide. You can use its branch locator to check which locations are closest to you. Canvas Credit Union also offers the following business services: business savings and money market accounts, lines of credit, business loans, Small Business Administration funding, commercial real estate financing, small business equipment loans, and credit cards. Currently, it does not offer wealth management. Find out more about its small business offerings on its website.